Maryanne works with individuals, teams, and organizations who want to make personal and collective change and sustain the results. We get paid to communicate and have conversations. We use a proven approach to communication to build better conversations, better relationships, and get results. People derail in their careers over relationship issues - being unable to understand others, communicate with them, manage conflict and build alliances. Leaders and teams with an ability to develop trust, hold others accountable, and show stronger Emotional Intelligence consistently outperform those with lower EQ. How can coaching help you? Coaching helps create and sustain the changes you want to make. Find out more! 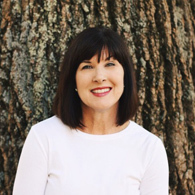 Maryanne Honeycutt Elliott works with leaders, teams and individuals who want to experience lasting results in how they communicate, lead and build relationships.